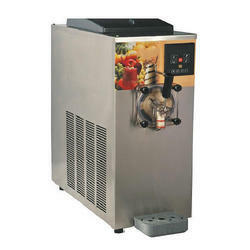 Manufacturer & Supplier of NNR ICE MAKER. 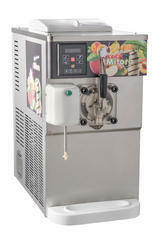 Our product range also comprises of Batch Freezer, Blast Freezer and Candy Making Machine, milkshakes machines. Since start of our business, we are successfully affianced in providing a quality gamut of Milkshake Machine. This is electric modal milk shake machine. We are offering Milk Shake Machine to our client. We, SS Sales, began our operations as suppliers in diverse range of Kitchen, Catering, Hospital Equipment . The range offered by us to our clients comprises of Kitchen Equipment, These appliances find application in a number of hotels, restaurants and canteens. - New tropicallized plan bringing about high item yield with low power utilization. - The controls are anything but difficult to work. - Provide gear pump for both framework guarantee a high overwhelm item.